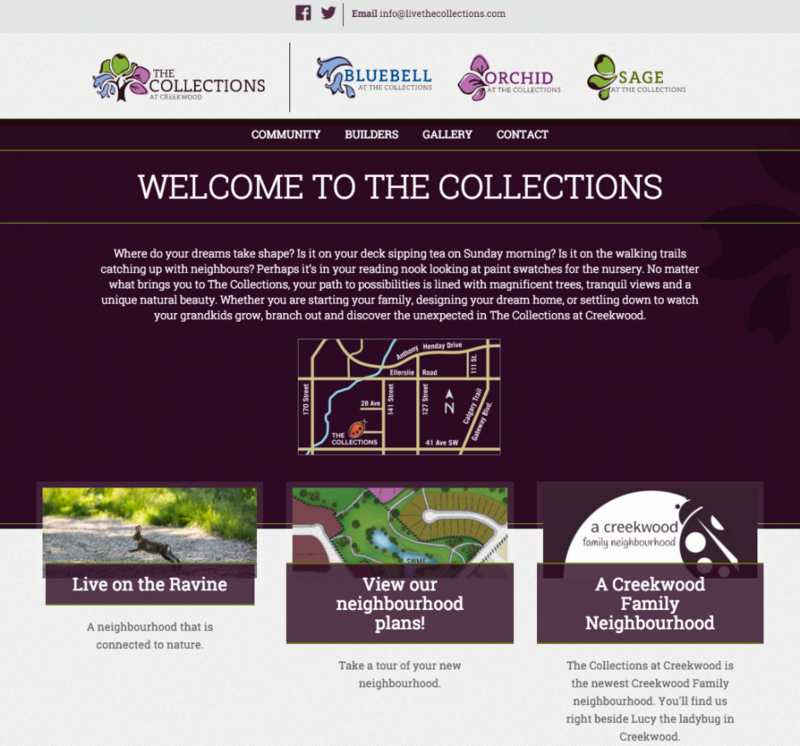 The Collections is a real estate development in Creekwood nestled in the beautiful ravine of southwest Edmonton. 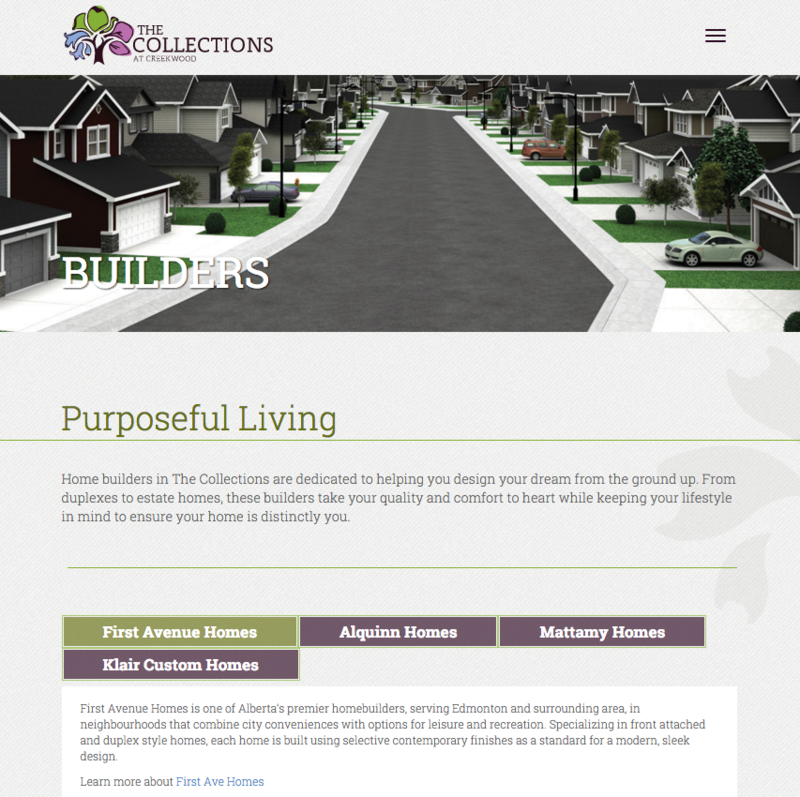 The team from Catapult Marketing executed this excellent design for The Collections and we brought it to life. Project Summary: We built a responsive WordPress website that showcases The Collections’ three different neighbourhood developments.